The park, underlain by sandstone, grit and shale of the coal measures lies on acid soils at the southern edge of the South Wales coalfield, where the escarpment of Craig Y Hodge descends to the coastal plain, much of the parks upland is barren moorland which contrast with the woodlands, grasslands and lakes of the southern park. 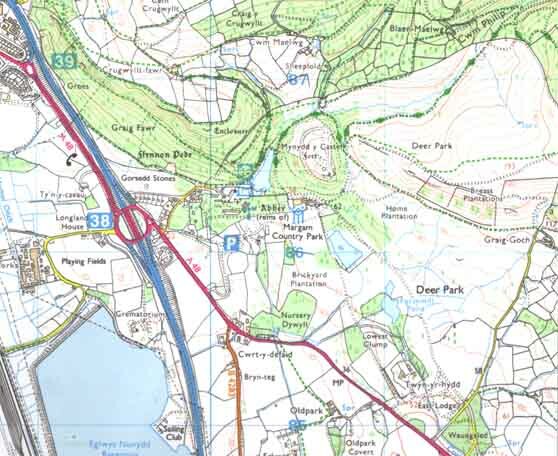 Access to the park is via the A48 at the main Orangery gardens and Showground entrances, with junction 38 of the M4 motorway only 500 metres from the main entrance. All trafic using this costal route must pass the park which is in an ideal position for visitors to access its attractions. Due to its location some 85% of visitors arrive by car. 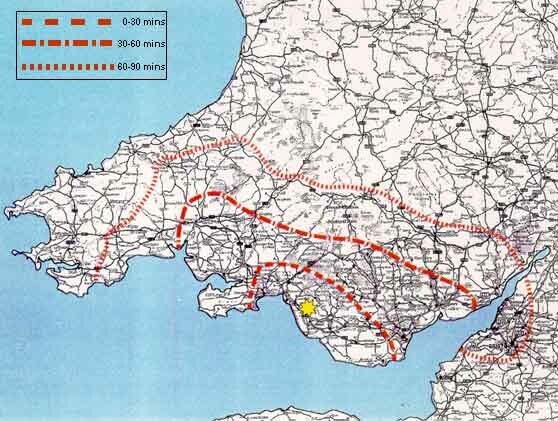 Port Talbot is on the main railway line from West Wales to London. First Cymru buses X1 and 66 provide services between Swansea, Port Talbot, Porthcawl and Cardiff.